bizk's sister rules. thumbs up! the sister and the ducks roxx! Another demo from hollowman (ex-Triad). Again not much code, but many cartoon style graphics and nice music. Compared to Manhood II, it's rather pointless and a little bit dull, though. wowowoww excellent sister. demo. i mean. would it help if we'd paste a picture of ile with a bag of chips and a bottle of beer here? credits part and duck make my day! 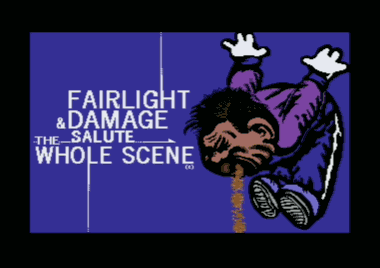 my favorite c64 demo after romeo. All bizk's sister are belong to me. Let's make 'em badder alright. Hollowman and goto80 to start with is winning. rulez added on the 2015-04-28 18:55:20 by w00t! page created in 0.018925 seconds with 15 queries.